Welcome to Alton Park in Chattanooga, Tennessee! This beautiful area is the perfect place for you to stay for vacation this year! With a convenient location, variety of gorgeous views, delicious restaurants, fun bars and more, where can you go wrong? Be sure to enjoy a day at Ben Miller Park during your stay for a nice quiet area with scenery! As for the eats here, it almost doesn’t end! A variety of places ranging from a southern style twist on food to foreign menus! A few of our favorite spots are Mojo Burrito, 1885 Grill, and Mr. T’s Pizza and Ice Cream! Mojo Burrito is an extremely cool spot where you build your own burrito in a fun scene where they serve beer as well! As for 1885 Grill, this seafood spot is known for the delicious eats, cocktails and excellent service, don’t miss out! Lastly, be sure to grab dessert at Mr. T’s Pizza and Ice Cream! This small food joint serves a mean homemade pizza and some fantastic sundaes you’ve got to try! As for bars around here, a variety of restaurants here serve alcohol, but our favorite spot is The Tap House! Here you can enjoy a great happy hour drinks menu, live music, and bar games! Be sure to take advantage of this opportunity! 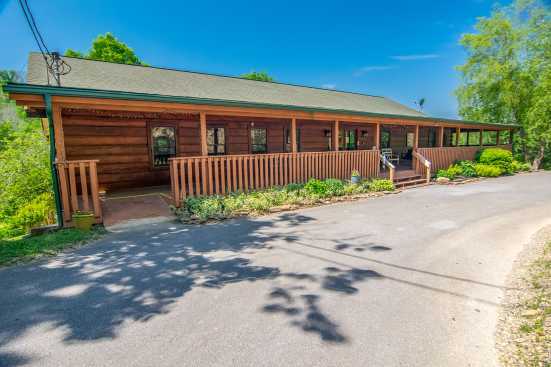 Smoky Mountains by Owners is proud to be able to make your vacation the best one yet by providing you with our vacation rental properties here in Alton Park of Chattanooga, Tennessee! Book online today and enjoy the rest!